HotRidesUSA.com is visiting Australia’s vacation paradise, the Gold Coast, where in the beach suburb of Coolangatta is hosting the annual classic car and rock and roll event ‘Cooly Rocks On’. The focus is on dance, music, and a street parade of classic cars from the 1970s and older, but because the event is open to all visitors, there will be many modern classics cruising the surf-side streets on Coolangatta. 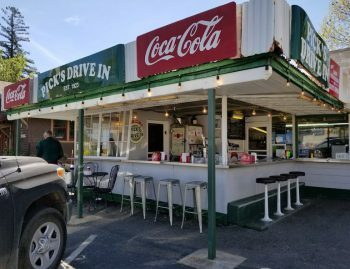 Early arrivals included a 1959 Cadillac, Ford hotrods, and many other classics. Fitting to Australia is one of the Holden Utes earliest cousins. 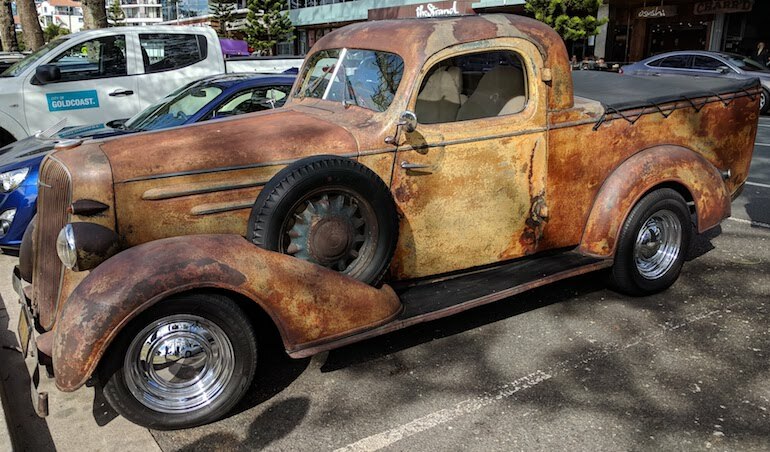 A 1936 Chevrolet Coupe Utility or ‘ute’ as they call them in the land downunder. Side profile of the Chevy Ute. Note the solid connection between the coupe body and the rear cargo box. 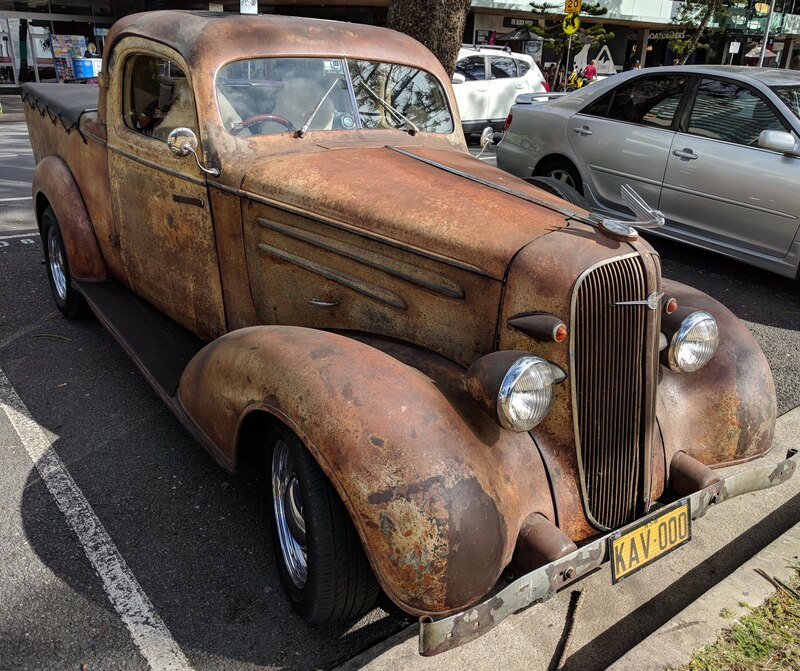 This was common in Ford, Holden/Chevrolet, and Chrysler/Dodge utes in Australia and believed to be an Australian invention when Ford Australia designer Lew Bandt released the first ever Ford Coupe Utility in 1934. It is rumoured that Henry Ford nicknamed it the Kangaroo Chaser. General Motors bought the Holden name in 1931 and began releasing Chevrolet in Australia under the General Motors Holden Ltd company name. 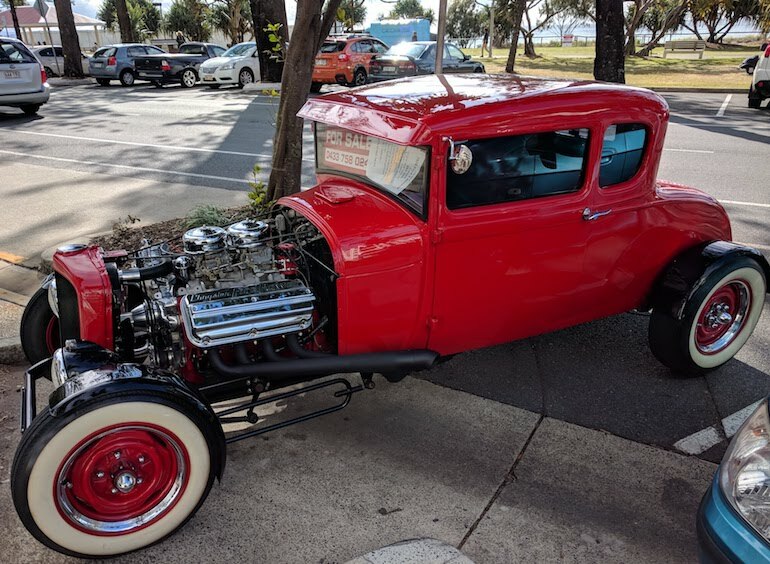 Some other early street cruiser visitors were spotted in the Cooly Rocks On event yesterday including this Ford 5 window coupe with a 392 Hemi. 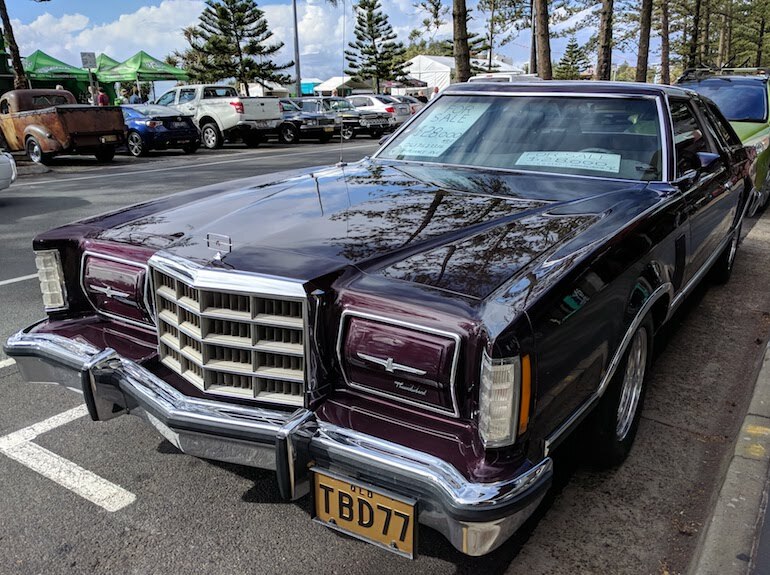 1977 Ford Thunderbird setting the classic car theme in Cooly Rocks On, Coolangatta, Australia. 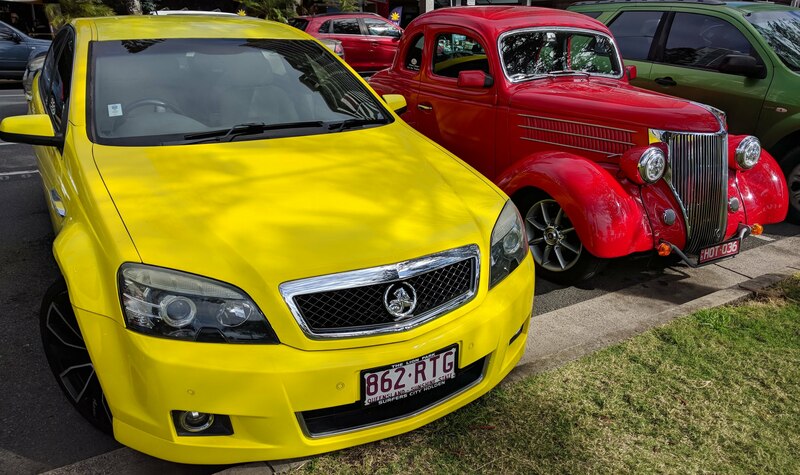 Old classic cars and future classic cars, a Holden Commodore SS next to a 1936 Ford Coupe at Cooly Rocks On 2018, Coolangatta, Queensland, Australia.